I absolutely love the stroller!!! It checks off pretty much every box that you would want or need in a stroller. Super easy to put together, flat recline, large shade and glides like a dream! To me personally, I don't find it bulky. 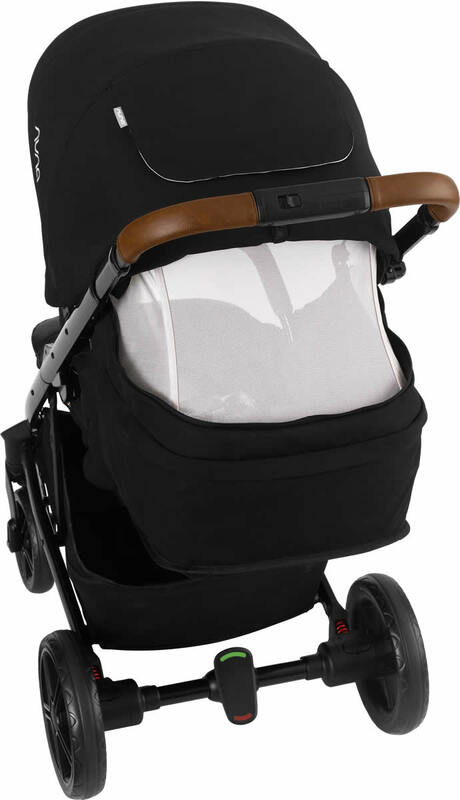 Its actually narrower than a lot of other strollers. Iâ€™m so satisfied with this product! I love that it was so easy to assemble, you literally just click everything in. 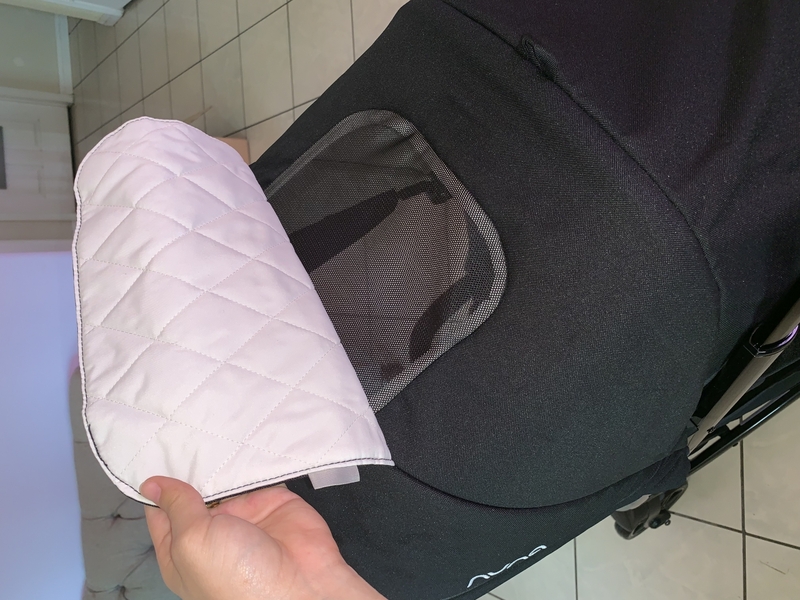 Itâ€™s very lightweight and I love all the features it has like the dream drape, how it can turn into a bassinet and has a peekaboo window with magnets instead of velcro. It is very easy to push and move around, it almost glides! 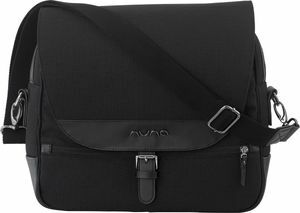 Other than the cool features I also absolutely love the design and how luxurious it looks and feels, the materials are beautiful and definitely seems comfortable enough for my baby boy. 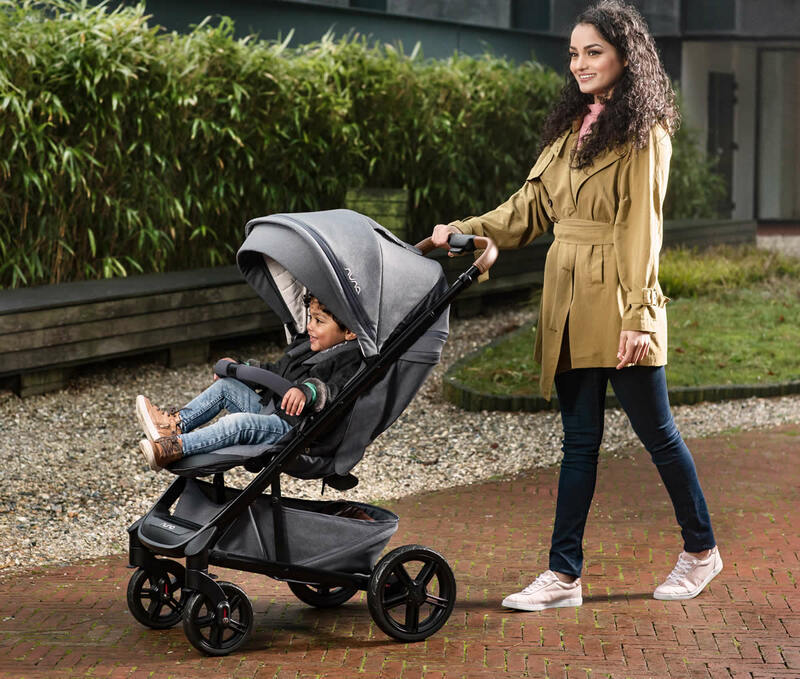 This stroller has every feature imaginable to get you from newborn stage to toddler (and even further if you so choose). Upon arrival, one of the first things I noticed was how simple it is to put together. No hammering wheels on like other top named brands. You just simply snap and click parts together and it takes a matter of minutes to get everything set up! The quality of the frame and material used in the making of this product are beyond impressive. This thing is solid. 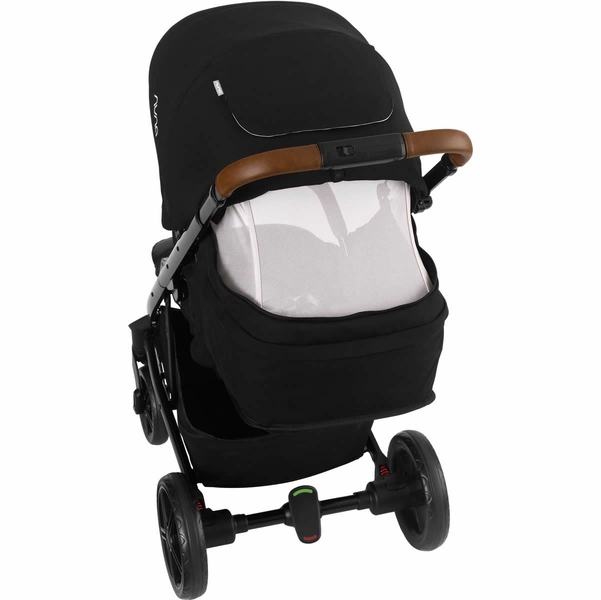 I love the fact that you can lock the front wheels for rough terrain, what a great safety feature to make life easier when pushing your child. 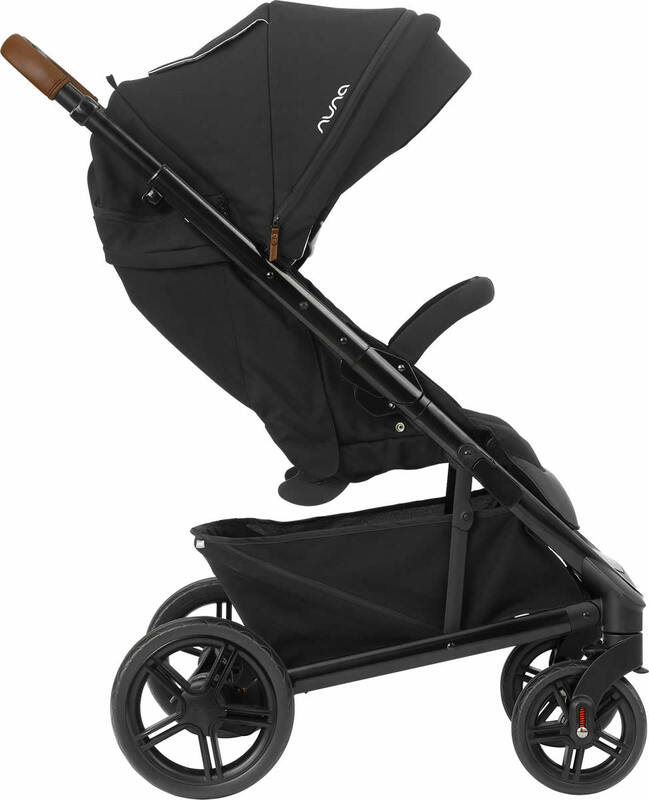 It also has shocks on the wheels that allow for a smoother ride for your child. 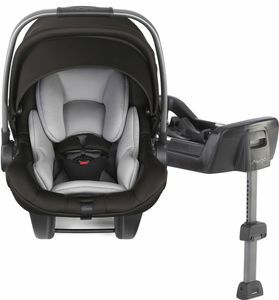 The seat adjusts from an inclined position to a full flat position for sleeping little ones, and one of the coolest design features Iâ€™ve noticed thus far, is the bottom of the seat (where your childâ€™s legs fold over at the knee, raises up to ensure that when baby is sleeping, he/she can not slide out. It closes everything up like a bassinet. I love that there is a hidden canopy in the retractable sun cover you can unzip and pull out. 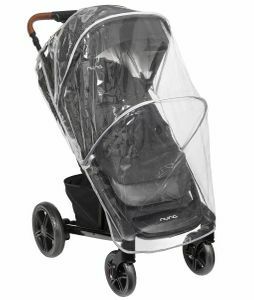 It magnetically attaches to the bottom front of the stroller for further protection (such a great feature for when baby is sleeping or to keep unwanted hands from touching baby). My husband is 6â€™4â€, so finding a stroller where he doesnâ€™t have to lean over to push has been an issue in the past with previous children. 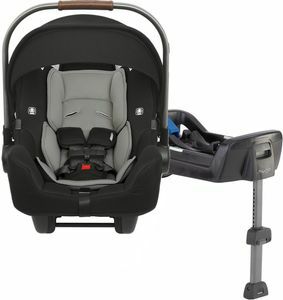 This stroller; however, has an adjustable feature that allows for extension of the handle for those that are taller, no more back pain! Not to mention, the handle is very classy with its leather handlebar. 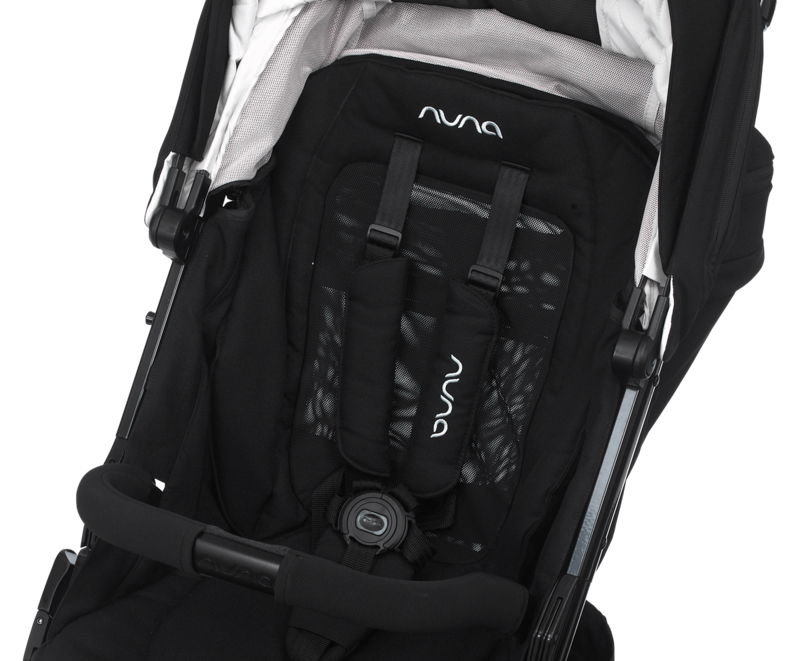 We own the Nuna Pipa Lite car seat and wanted a stroller that fits the car seat. The tavo was a great option that fitted our need. 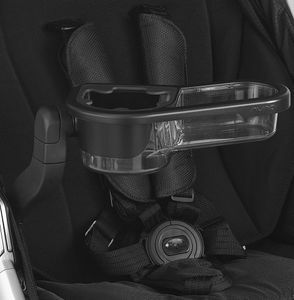 It's super easy to open or close, and the car seat fit on with one click. 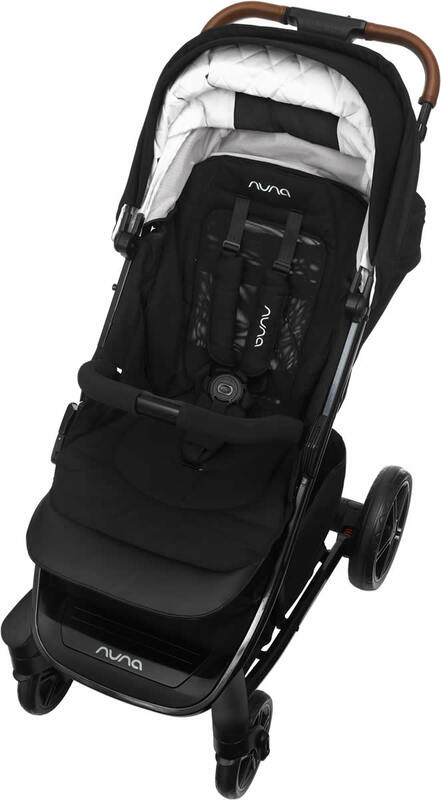 The material that nuna used for this stroller is very good quality as well. The only thing I would complaint is the weight of the stroller. It's definitely a little heavy, but we leave it in our SUV so it's okay. I love this stroller and the nice design. Super smooth ride and my little one loves it too. 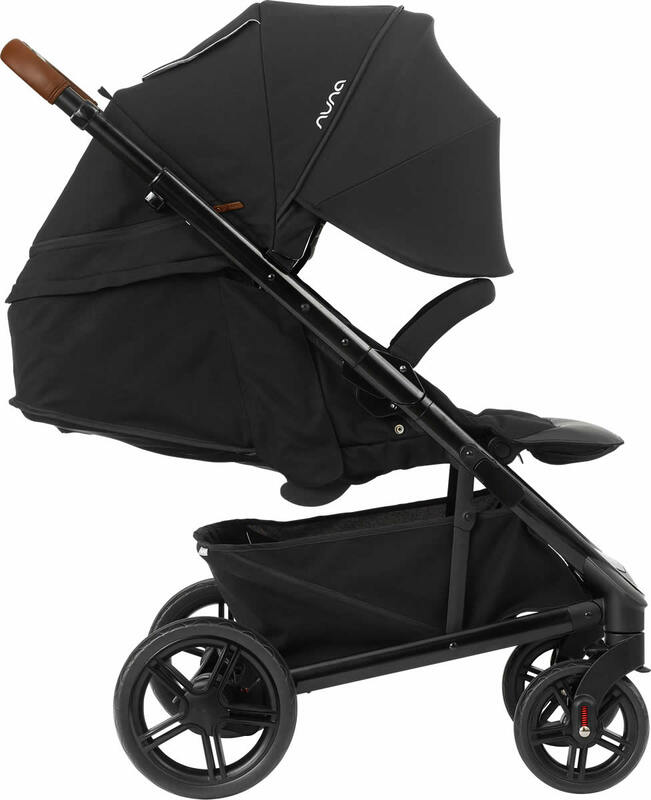 Love this stroller... easy to handle, compact, beautiful materials. Love itâ€™s a bassinet and stroller in one. 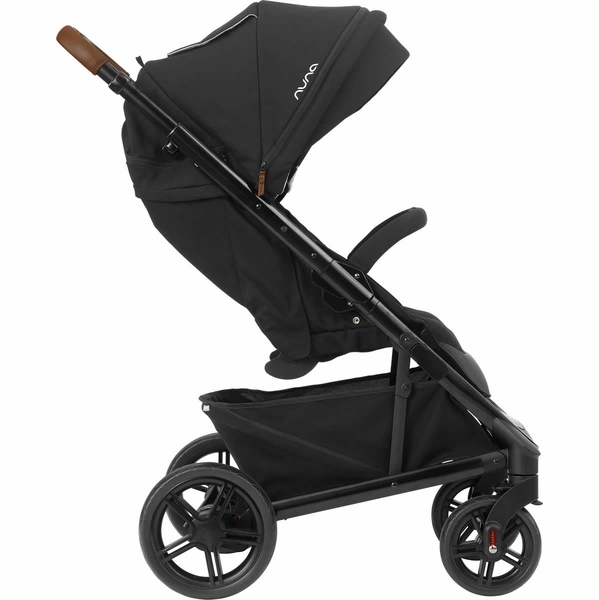 If you want a good quality stroller but do not want to spend a crazy amount, then this is your stroller. 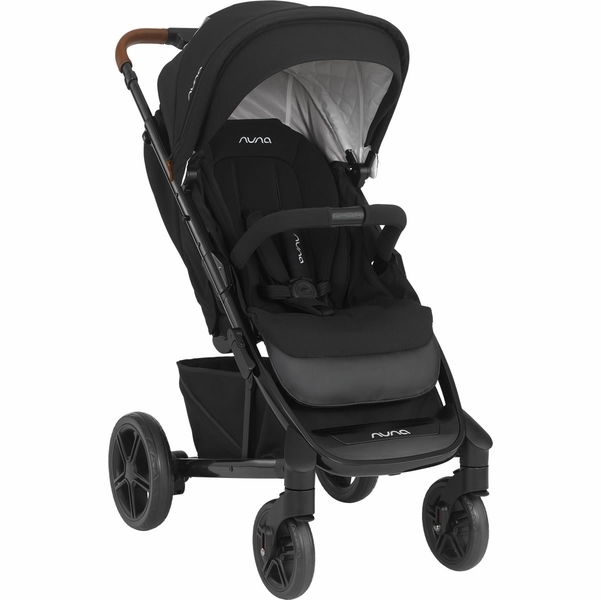 I spent months researching so many strollers and could not decide. I needed a stroller that was not ridiculously heavy and bulky, not too complicated (with so many attachments) and worth the price. 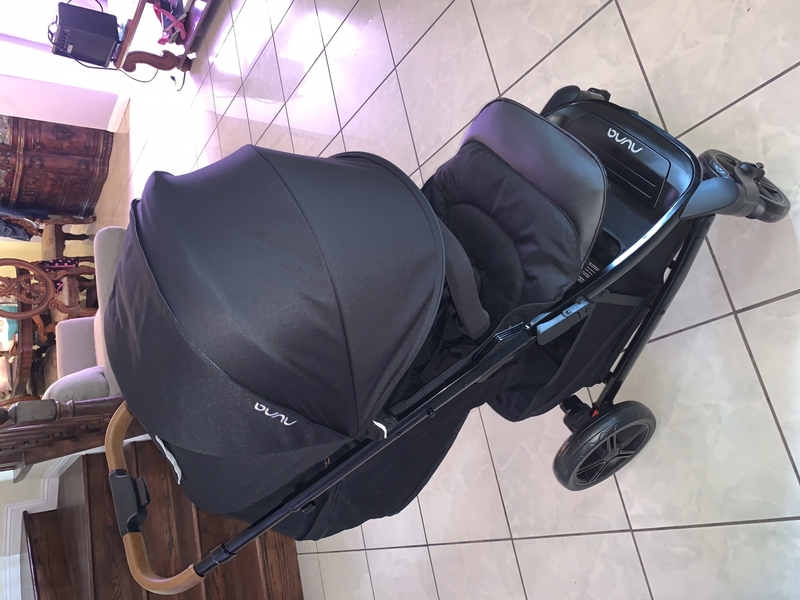 I chose this stroller because it converts into a bassinet without having to buy it separately and my Nuna pipa car seat attaches without disconnecting an attachment or having to buy attachments. I love that I am able to one handed fold and unfold my stroller. I would definitely recommend this stroller. I like the quality of this stroller and the price point. The leatherette handle looks high end. Very practical and easy to maneuver. Perfect with Pipa car seat, no need for adapters. I also like the dream drape. It's a good value versus the Mixx2. Got reward points at Albee enough to buy a baby carrier. Nice deal! Quality is 10/10! Appearance 10/10 as well! Very easy to navigate and very intuitive! Worth every penny!! 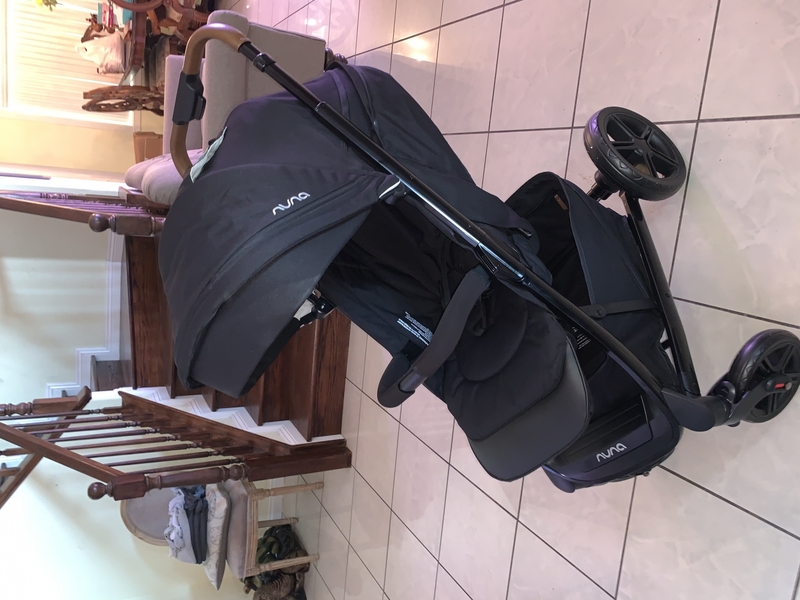 This stroller is easy to assemble, light weight, and easy to clean. My son and my dog loves it. I like this stroller but I found there is a problem. The single hand folding design is nice, the wheels are good for absorbing shocks. But if there have a cup holder it will be better. This stroller is beautiful. I love the mesh seat. I love how it handles. I can push with a finger. I bought it understanding the seat doesn't flip towards me. I didn't mind because I had the pippa car seat and planned on using that until my LO was older and I'd rather him face out. 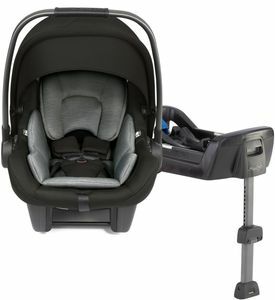 I bought this also because of the easy click on with the car seat. 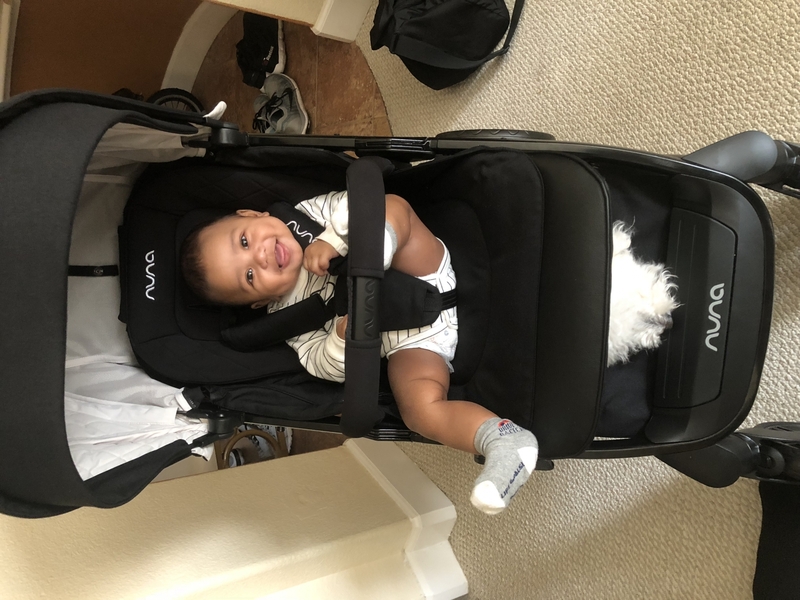 However, he can sit in this stroller now (he's 5 months). And the car seat is a step not needed. I have no idea why they have this version that doesn't have the option to flip the seat. It seems like a stroller for toddlers, which, to me is not as efficient as it can be. 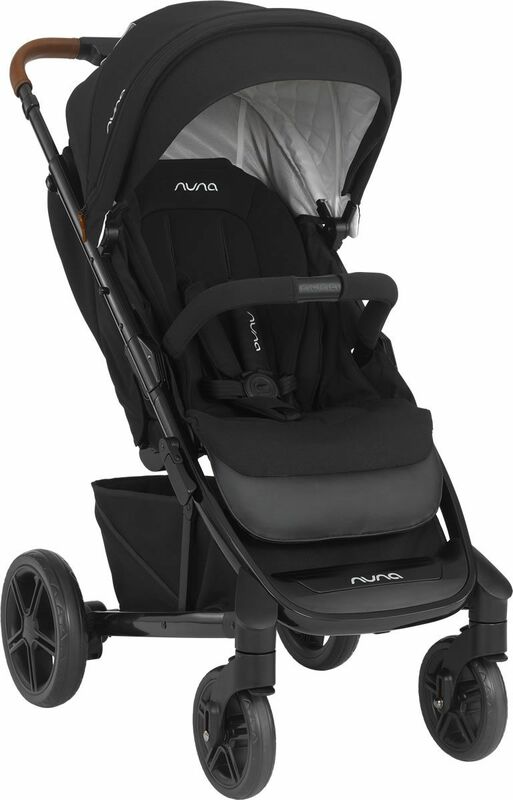 I have purchased the Nuna Demi Grow and I'm stoked to get this stroller. Would recommend the Mixx instead of Tavo. 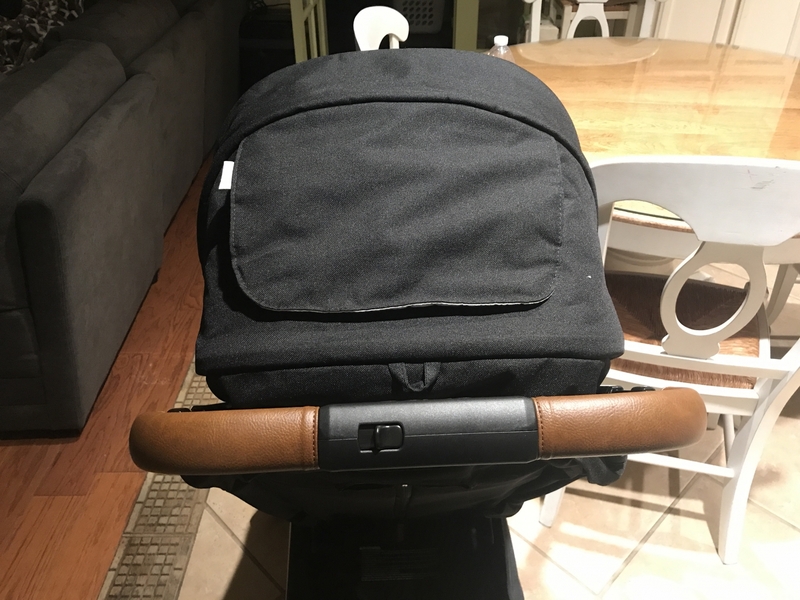 Oh- I can put my heavy backpack on the stroller handlebar (with the clips) and no baby in stroller and it doesn't tip. It's awesome. The stroller was easy to assemble . It also is very easy to fold. 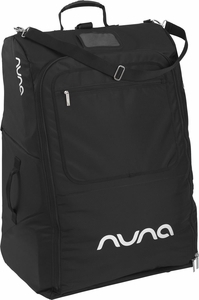 It is light weight and stylish. I would of liked for the child tray to be included since there is no space for the baby bottles besides in the bottom storage. Also the color is a little lighter than what it looks like in the pictures. Dream stroller! 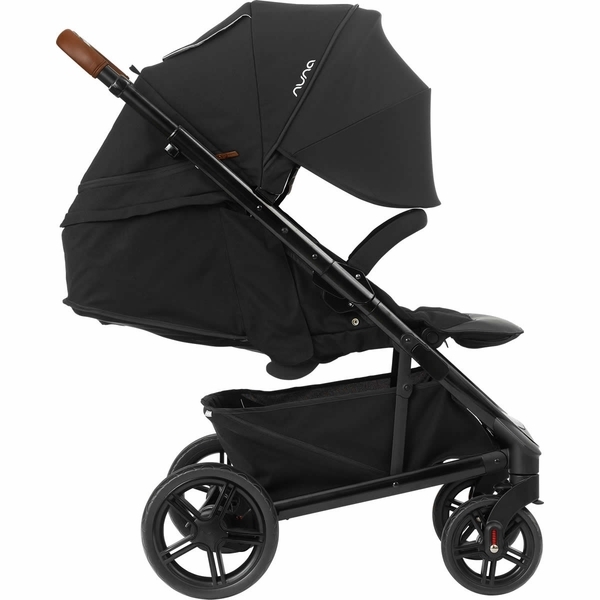 Love the fabrics, the leather handle, how easy and compact it is to fold and the overall pushing of the stroller is excellent!! 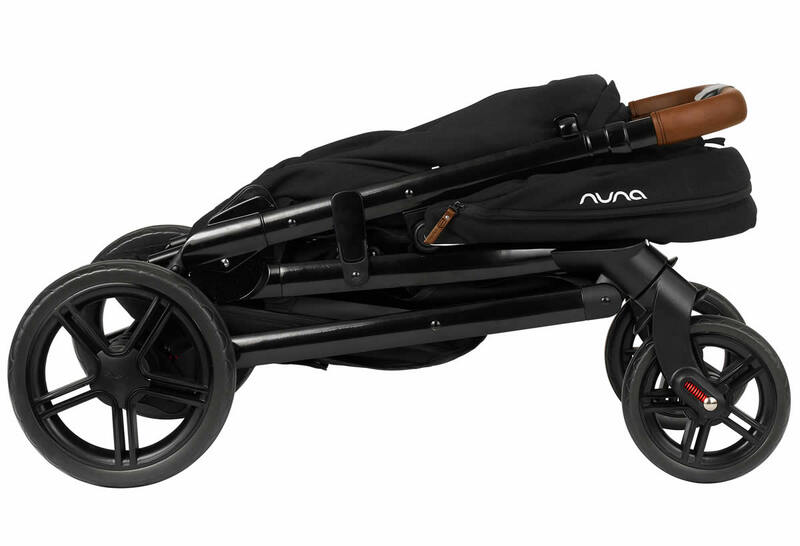 Highly recommend for someone who wants a compact, perfect stroller! 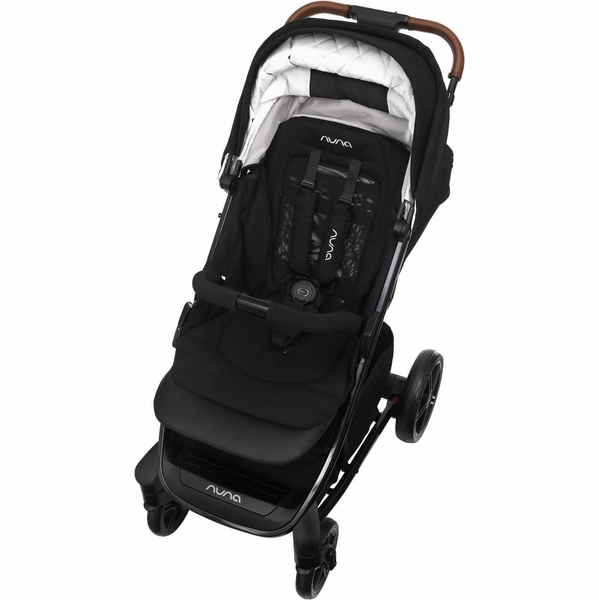 We recently purchased this stroller to use with the PIPA car seat. We LOVE it. It steers so easy, it looks nice, and is very user friendly. 10/10 would recommend.